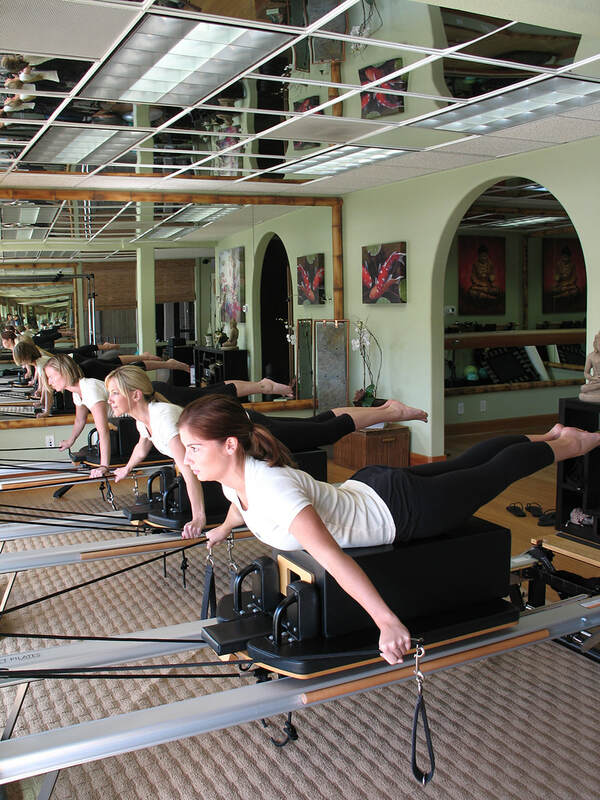 ​Our Duo Private training classes utilize a combination of both Mat Pilates, or floor exercises performed using the resistance of your body and gravity, and Pilates Apparatus, including the Reformer, Stability Chair, Spine Corrector, and the Cadillac Trapeze Table. In these classes, you will work through a routine of challenging movements to strengthen, stretch and lengthen your body. All of the exercises are safe for the joints and ligaments, and work specifically to develop the muscles that support them. In these sessions, our certified instructors will work with you in a more personal, intimate atmosphere, to empower you with the tools for achieving better health of body and peace of mind. The small size of these sessions enables our instructors to give you greater individual attention, and create a customized, full-body workout to meet each of your specific needs. Specially designed for athletes, these sessions focus on precise movements with few repetitions. During these sessions, our instructors will teach athletes how to build their core strength, increase balance, flexibility and agility, prevent injuries, and help improve their overall athletic performance. If you are pregnant, the practice of the Pilates method is one of the gentlest ways to keep your body strong during your pregnancy, helping to ensure an easier delivery. It is also one of the quickest ways to get your body back into shape after your baby has been born. With your doctor’s permission, our pre-natal and post-partum certified instructors will work with you one-on-one to make sure you have the healthiest pregnancy possible, and afterwards, will assist with your rehabilitation, and help you to regain your pre-pregnancy figure. Often the most difficult part of exercising is getting out of the house, driving in traffic, and finding a place to park – all before you can even begin your workout.If this is something that has deterred you from exercising in the past, then our personal in-home sessions may be just the solution you need. One of our personable, certified Core Pilates instructors will come right to your door, with all of the equipment necessary to create a personally customized, full-body workout within the comfort of your own home.